The Foundation for Nager and Miller Syndromes (FNMS) is an international support group dedicated to helping those affected by these two similar and extremely rare, genetic conditions which involve moderate to severe facial and limb anomalies, but do not usually affect intellect. 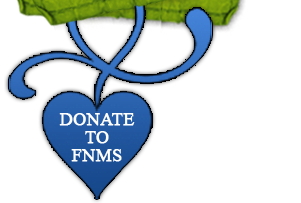 Please make your selection and click "donate" or "purchase" for a FNMS Logo Pin. 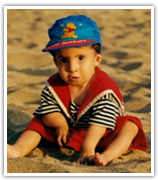 Financial contributions to the Foundation for Nager and Miller Syndromes are tax-deductible. All donation amounts are in USD. FNMS needs your financial support to continue it's services. You can make the difference. After you click donate, you'll be sent to The Foundation for Nager and Miller Syndromes PayPal donation page. Enter the amount you'd like to contribute. Thank you. 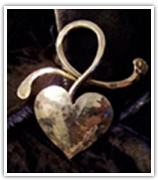 The FNMS Logo pin is handcrafted of sterling silver by Kathy Boldt Designs. Purchase your pin, raise awareness and support FNMS while looking stylish with these unique silver pins. The cost is $55 and you are sure to receive compliments. They are shipped to you in a little black gift box and make wonderful gifts.